How cool is this grill? You can barbecue on the go! Built for carrying with one hand, the fold–flat design ensures you’ll barely notice your grill alongside other necessary outdoor items. 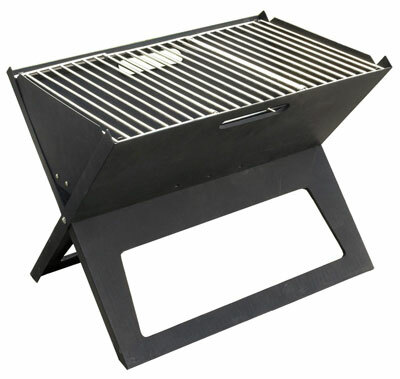 This entry was posted in Gadgets and tagged charcoal, grill, notebook grill, portable by Budour. Bookmark the permalink.